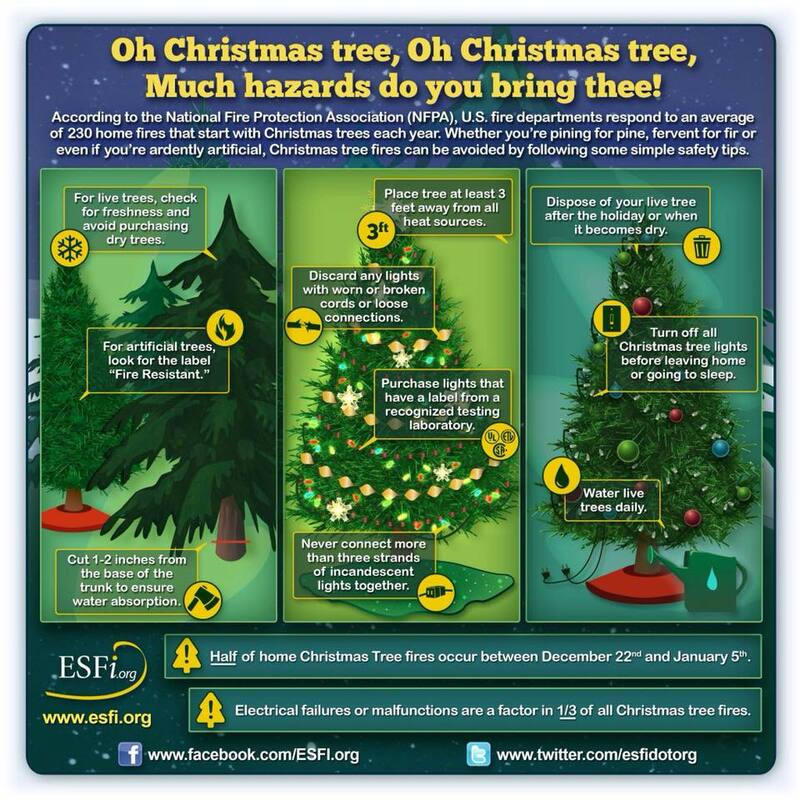 According to the National Fire Protection Association ( NFPA), U.S. fire departments respond to an average of 230 home fires that start with Christmas trees each year. Whether you’re pining for pine, fervent for fir or even if you’re artificial, Christmas tree fires can be avoided by following some simple safety tips. For live trees, check for freshness and avoid purchasing dry trees. Fore artificial trees looks for the label “fire resistant”. Cut 1-2 inches from the base of the trunk to ensure water absorption. Place your tree at least 3 feet away from all heat sources. Discord any lights with worn or broken cords or loose connections. Purchase lights that have a label from a recognized testing laboratory. Dispose of your live tree after the holiday or when it becomes dry. Turn off all Christmas tree lights before leaving home or going to sleep.